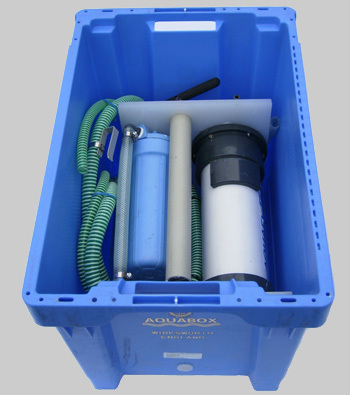 Aquabox is a charity that supplies emergency aid through water purification. They have been in existence since 1992 and is run solely by volunteer staff, mainly Rotarians and is based in Derby in England. The Rotary Club of Ayr recognised the huge benefit purified water can bring to disaster-hit areas around the world, and adopted Aquabox as a Major Project in summer 2016. Aquabox receives the Queen’s Award! The Queen’s Award recognises the contribution that so many of you make by fundraising and donating your time and money to ensure our humanitarian aid boxes and water filters reach those in distress around the World. Without your recent efforts we would not have been able to supply 4500 boxes to refugees from the Syrian conflict or fly out nearly 2000 boxes to help the earthquake victims of Nepal. And, of course, the Award recognises the hard work and dedication of all those involved with distributing over 100,000 boxes since the charity was first established in 1992.